What is Damp Proofing Osmosis? When thinking about construction, refurbishment or repair within a building it is important to notice that no two buildings are the same which is why Twistfix Ltd have an extensive range of products available. As part of our product range we have a number of damp proof osmosis products. Electric Osmotic Damp Proofing is something which dates back to the 18th Century when it was first discovered that an applied voltage actually can affect capillary action. Then a century later it was discovered that water was transferred from a positive anode to a negative cathode when an electrical potential was applied to it. This was the earliest principle of Damp Proofing Osmosis and it was this discovery which led to the systems which we have in place today. It is fairly simple to understand; moisture rises from the earth by capillary action and then it is believed that an electrical potential is then developed between the wall and the earth. When there is an interference with this electric potential then it will depress the rise of moisture. Damp problems which may have arisen in a building are easily treatable by damp proofing osmosis in a clean and envi­ron­men­tally friendly way. 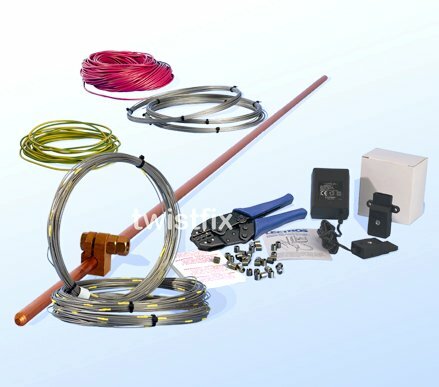 Our Electro Osmotic DPC Kit operates extremely well in all types of masonry where damp is present. An electrical charge is introduced into the brick or stone walls via a series of positively charged anodes. Free moisture molecules are repelled from the anodes and then attracted to a negative cathode as mentioned above. The negative cathode is buried in the ground and when the water is directed here it can then be diffused approp­ri­ately. 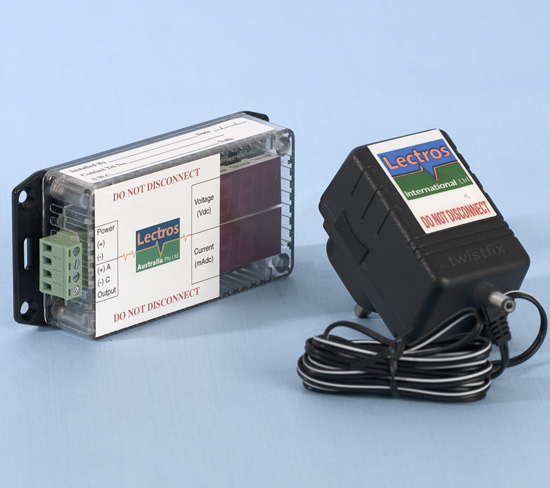 Our Lectros electro-osmosis DPC system is one of the only damp proofing treatments which can be installed in the masonry walls above timber floor joists in order to drive any excess moisture down to a level beneath them. This fulfils a vital purpose and is an effective damp proof course. However complicated the term damp proof osmosis may sound it is pretty easy to understand. We even have an Electro Osmosis Damp Proof Monitor product so that you can view the electrical charge carried through a wall by moisture. For more information then please 0845 1236007 or email sales@twistfix.co.uk.